NEW SOPHISTICATE: Shortly after christening the Balenciaga flagship in Los Angeles last April, designer Nicolas Ghesquière barred shoppers from it for two days. But he had a « beautiful » reason. 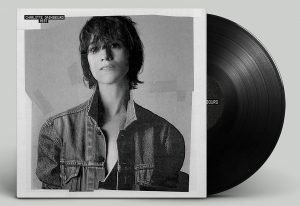 Ghesquière used the new 5,000-square-foot store on Melrose Avenue in West Hollywood as the location for the French brand’s fall-winter campaign shoot, featuring actress Charlotte Gainsbourg. The ads break in the August issue of British Vogue, followed by other fashion titles. « For me, she is one of the most inspiring girls in the world, » Ghesquière enthused. « She’s really representative of what France is today. She was always so modern in her choices and her way of being. She’s so iconic for me. « Still, Ghesquière chose to portray his friend of 10 years in line with his hyper-chic and « more mature » fall-winter collection. That meant a sleek chignon, strong makeup courtesy of Pat McGrath and arch couture poses — a contrast to the bohemian, « undone » style Gainsbourg has portrayed in other campaigns and in countless editorials. « It was fun to play with her in a very sophisticated way, » Ghesquière said, allowing that some viewers may not immediately recognize the star of such films as « 21 Grams » and « I’m Not Here. » The daughter of French music deities Serge Gainsbourg and Jane Birkin, Gainsbourg has also recorded several albums.